Habitat: Mixed dry deciduous woodland, rocky outcrops and gardened areas. Location (short): Exclusive Lodge overlooking the Save River Gorge at the edge of Gonarhezou National Park. 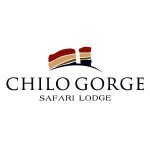 For more information on this beautiful Lodge and the fantastic things it has to offer see chilogorge.com. A photographic impression of the lodge and its exclusive accommodation by Petra Ballings. Hyde, M.A., Wursten, B.T., Ballings, P. & Coates Palgrave, M. (2019). Flora of Caprivi: Location details: Chilo Gorge Safari Lodge.